New Yorkers are confident in the city's ability to thwart terrorists, according to a new poll. MANHATTAN — Nearly 80 percent of New Yorkers polled in a recent survey say they'd never ask a police officer for help making a ticket go away — a slap at the NYPD as it scrambles to contain a massive citywide ticket-fixing scandal. Most of those polled by Quinnipiac University called the problem of police offering to fix tickets is either "very" or "somewhat serious," the results showed. "Me? Ask a friend to fix a parking ticket? We’re shocked — shocked — that you would ask. Still, New Yorkers think that the ticket-fixing scandal is serious," said Quinnipiac University Polling Institute directly Maurice Carroll in a statement. 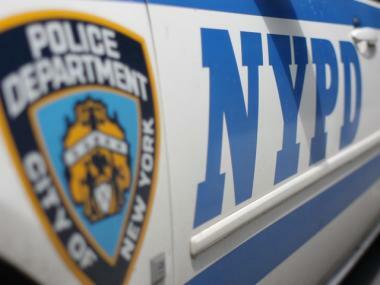 As DNAinfo has reported, as many as 500 members of the force could face disciplinary action, while others are facing criminal charges, as part of a massive alleged ticket-fixing scandal. In addition to allegedly making traffic tickets disappear for family, friends and big wigs, including a Yankees executive and local politicians, several officers are also now allegedly under investigation for trying to squash domestic violence incidents involving off-duty cops and trying to intervene in drunk-driving incidents involving fellow officers, sources have said. The poll also asked Manhattan residents to weigh in on the NYPD's handling of the terrorism threat more than a week after the death of 9/11 mastermind Osama bin Laden. Despite high levels of fear about another attack, a whopping 92 percent of Manhattanites say that cops are doing a good job when it comes to preventing terror, according to a new Quinnipiac poll out Thursday. Nearly 60 percent say the city is adequately prepared to deal with another attack. They also give Police Commissioner Ray Kelly sky-high grades. "It’s close to unanimous: Voters give New York cops high marks for staying on top of terrorism," Carroll said in a statement. "We’re still worried that terrorists might hit the city again, women more than men, but more than ever, we think we’re ready," he said. The survey also asked about bike lanes. As it turns out, a majority of Manhattan residents — 62 percent — believe bike lanes are a good thing because they're greener and healthier. But less than a quarter of Manhattanites polled say the city's growing network of bike lanes is widely used. The poll has a margin of error of plus or minus 3.2 percent.